Dr. John has been busy the whole month of February teaching kids about the importance of their teeth. Watch our first video blog to see what he has to say. Over the past 50 years we have really developed and understanding of how the bacteria in our mouth affect our teeth and gums. 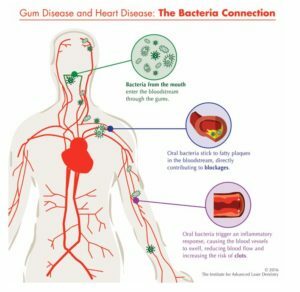 More recently, it was discovered that the bacteria causing gum disease were also found in the plaque build-up in our arteries and veins and play a role in heart disease. What that relationship entailed was uncertain. 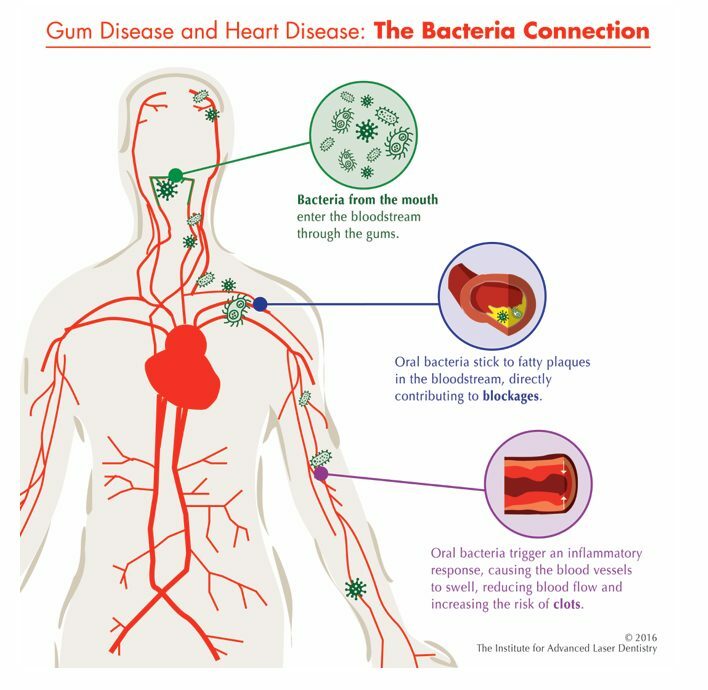 In a landmark study published in the November 2016 issue of Postgraduate Medical Journal, new evidence supports a cause-and-effect relationship between the bacteria found in periodontal disease and arterial disease. These disease-causing bacteria aid in increasing the concentration of harmful low-density lipoproteins (LDLs) in blood and increase the ability of the LDLs to accumulate into plaques contributing to atherosclerosis. Dr. John Gernetzke and his team at The Grove Family Dental and TMJ Clinic, LLC, place a priority on prevention, diagnosis and treatment of periodontal disease. They can help you by teaching you proper brushing and flossing, periodically cleaning your teeth, recommending antibacterial mouth rinses or toothpastes, providing conservative non-surgical treatment with lasers, prescribing antibiotics when appropriate and straightening crooked teeth to make it easier to achieve adequate plaque removal. For a Faster, Safer, Better dental experience, call Dr. John Gernetzke and his team today! Although Dr. John Gernetzke and our staff routinely encourage our patients to brush their teeth after eating, the one time you don’t want to do that, at least not immediately, is after eating cheese. It’s common knowledge that you should get your teeth cleaned every six months. But do you know why that timing is crucial? Studies have shown that your oral health connects directly to the rest of your body. Over time, an unhealthy mouth can cause trouble in other parts of your general system. Undergoing a regular cleaning every six months at our Evansville, WI office is vital. During your dental checkups, we remove plaque that collects on your teeth and around your gums. If the plaque gets left in place for an extended period, inflammation can develop and may lead to painful gum diseases such as gingivitis and periodontal disease. According to the American Academy of Periodontology, periodontal disease has been linked to increased risk for health conditions such as heart disease, stroke, diabetes, inflammation, and osteoporosis. 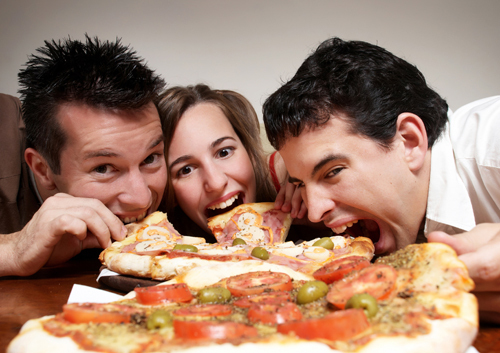 Bacteria from your mouth can spread throughout the rest of your body. So a healthy mouth leads to a healthy body. Regular checkups can prevent issues from arising in your mouth if problems are caught early by Dr. John Gernetzke. If you have been avoiding the dentist, you could be making issues worse for yourself in the long haul. Generally, a dentist will go over a few routine matters during your checkup. They might include taking X-rays, checking for gum disease and tooth decay, examining your bite, inspecting your head and neck for swelling, and of course performing a thorough cleaning of your teeth and gums to remove built-up plaque and tartar. All of these routine practices are worthwhile when it comes to keeping your oral health in top shape. Now that you know the importance of getting your teeth checked every six months, you should be sure to schedule your next appointment with The Grove Family Dental & TMJ Clinic at our Evansville, WI location. Keeping your mouth healthy will prevent any form of bacteria from spreading to the rest of your body. If you have any questions or concerns regarding your oral health, don’t hesitate to call and our staff will be happy to assist you.